With Fulham supporters hoping that, having leap-frogged Cardiff City into second place in the Championship, their side can hold on to that automatic promotion place. But, having studied the statistics relating to the fixture, what can we really expect the outcome to be? • When it comes to facing Brentford, on home soil, Fulham don’t have a very good record. The last 17 home matches have produced 9 defeats, 7 draws and just the 1 victory. • The 1 victory mentioned above, came back in April 1990 when Fulham triumphed 1-0. • When that statistic is reduced to the last 7 Championship fixtures between the two sides, Brentford once again feature better, winning 4, drawing 2 and losing just 1. 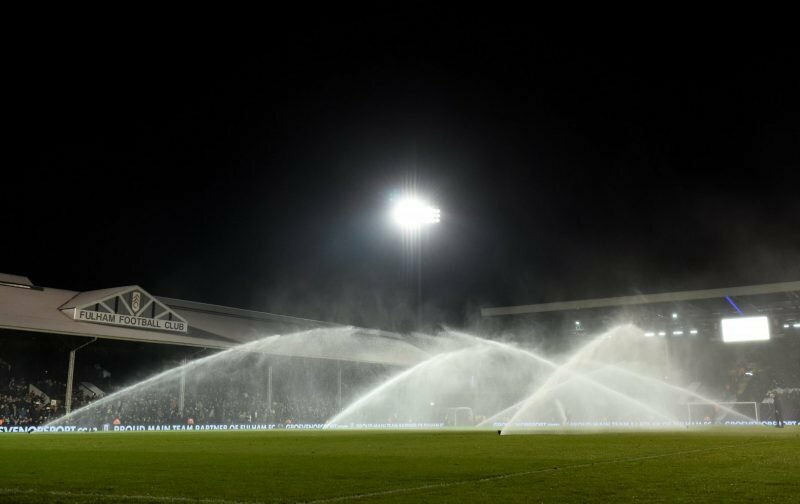 • So far this season, Fulham have won 12 of their home fixtures in the Championship, this is their best total of home wins since they recorded 13, in the season 2005 / 2006, as a Premier League club. • Brentford enter this fixture having won their last3games 1-0. • The last 20 fixtures, in the Championship, have seen Fulham win 16 and draw 4, only 3 teams in the history of second-tier football have failed to attain automatic promotion after going unbeaten for 20 matches or more – Brighton back in 2015 / 2016, Preston North End in 2005 / 2006 and Blackburn Rovers in 1987 / 1988. I reckon we’ll make it 21 games unbeaten, but can we hold off a Cardiff charge?